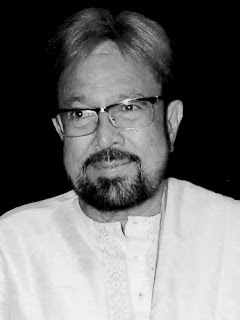 Yesteryear Bollywood superstar Rajesh Khanna passed away on Wednesday afternoon (July 18, 2012) after a prolonged illness. He was 70. News of Khana's deteriorating health has been making rounds lately and the actor was reported to have visited the hospital thrice due to weakness and BP problem. He breathed his last at his Bandra house in the presence of his physician and all his family members including son-in-law Akshay Kumar who returned from one of his shoots abroad in wake of father-in-law's ailment. Rajesh Khanna shot to stardom between 1969 and 1972 after 15 consecutive solo superhits and is considered the first 'superstar' of Indian cinema. He appeared in 163 feature films and did 17 short films. He won three Filmfare Best Actor Awards and was nominated for the same fourteen times. He received the maximum BFJA Awards for Best Actor (Hindi) – four times and nominated 25 times. He was awarded the Filmfare Lifetime Achievement Award in 2005. He made his debut in 1966 with Aakhri Khat and rose to prominence with his performances in films like Raaz, Baharon Ke Sapne, Ittefaq and Aradhana. Rajesh Khanna was a member of Parliament for the Congress Party, from the New Delhi constituency, where he won the 1992 by-election, retaining his seat until the 1996 election. When Khanna was M.P he worked full time as a politician and did not accept new acting assignments. He had since been a political activist for the Congress Party and campaigned for Congress in Punjab for 2012 elections. The nations mourns the demise of this legendary actor and fondly remembers him for his memorable work.